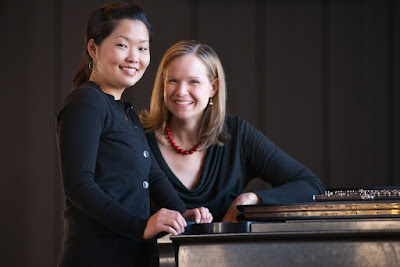 Flutist Laura Scarlata and Pianist Sharon Lee Kim are San Francisco Bay Area-based Duo Camaraderie. Duo Camaraderie's concerts feature a variety of outstanding guest artists each season – both instrumentalists and vocalists, as well as living composers. This concert features guest artist Ilana Matfis, viola and Jean Ahn, composer.